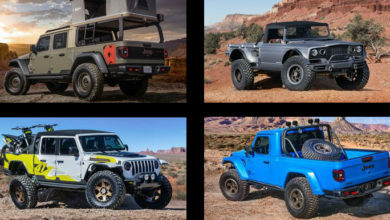 We expect several Jeep Gladiator Concepts to be revealed at 2019 Easter Jeep Safari starting next week in Moab, but we don’t have to wait to fully see one of the concepts — this leaked Scrambler Concept. 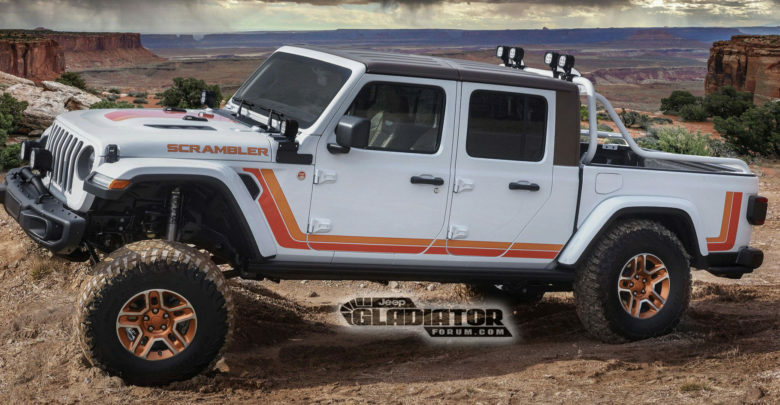 The Gladiator Scrambler Concept pays homage to the CJ-8 Scrambler Pickup from the 80’s with its Scrambler hood lettering, retro hood and side graphics, and a sport bar. 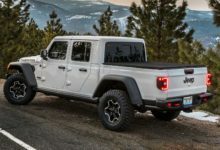 Jeep has also posted additional teaser images of another Gladiator concept which reveals a SUPERCHARGED badge and a wild looking tailgate.